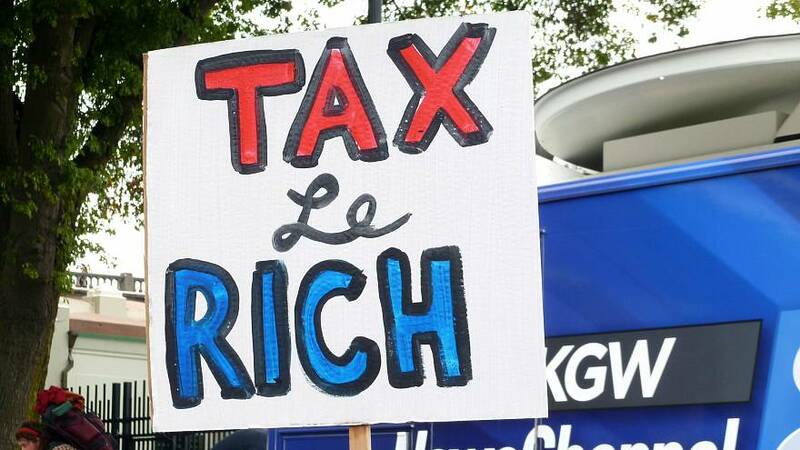 An overwhelming majority of people in some of the world's wealthiest countries want their government to tax the rich more as most complain they are not getting their fair share of public benefits, according to a major survey. The Organisation for Economic Cooperation and Development (OECD) polled 22,000 people in 21 countries. In every single one, a majority of respondents replied "yes" or "definitely yes" when asked: "Should the government tax the rich more than they currently do in order to support the poor." The 21-country average was 68% but Greece and Portugal — which where severely impacted by the global financial crisis — had readings of about 80%. They are closely followed by Germany and Slovenia. In France, where the "Gilets Jaunes (Yellow Vests)" movement — now in its 19th week — criticised the government's decision to scrap a tax on high-earners, over 60% of respondents favoured taxing the rich more. Meanwhile, an average of about 60% of respondents across the 21 countries polled believes they are not receiving their fair share of public benefits given the taxes and social contributions they pay and over 70% agree with the statement: "Many people receive public benefits without deserving them." The OECD Secretary-General Angel Gurria said the survey "is a wake-up call for policy makers." "Too many people feel they cannot count fully on their government when they need help. A better understanding of the factors driving this perception and why people feel they are struggling is essential to making social protection more effective and efficient." Stefano Scarpetta, the OECD's director of employment, labour and social affairs, described the results as "deeply worrying" and highlighted that OECD countries on average spend more than 20% of GDP on social policies, or the equivalent of roughly $8,000 (€7,050) per person per year. According to the latest Eurostat figures released on Tuesday, European Union member states spent a combined €2,890 billion on social protection in 2017, equivalent to 18.8% of GDP or 41.1% of general government expenditure. Six member states — Finland, France, Denmark, Italy, Austria and Sweden — devoted at least 20% of GDP to social protection, while seven — Ireland, Lithuania, Malta, Latvia, Romania, Czech Republic and Bulgaria — each spent less than 13% of GDP.